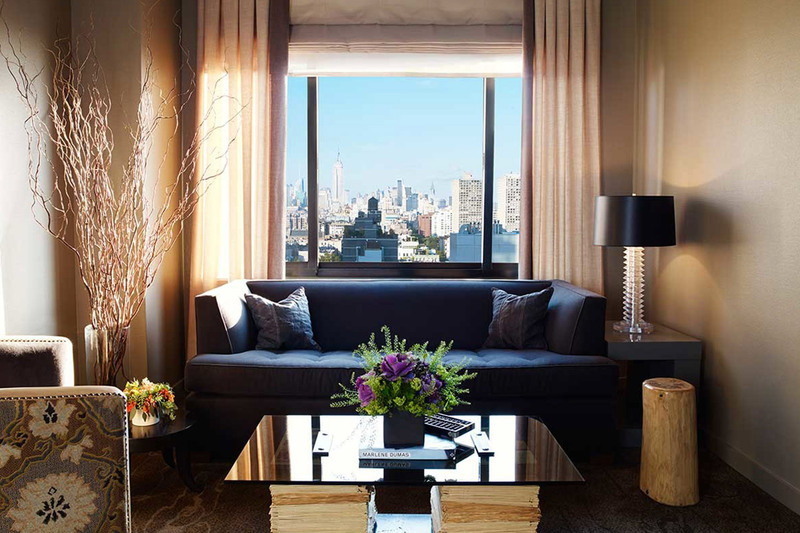 This exquisite sixteenth floor Deluxe One Bedroom Suite spans 470 – 500 square feet, and features a master bedroom with a custom king bed, separate living area, dual-exposure windows, stunning views of Manhattan, a personal bar and the finest in technology and amenities. Located on the suites-only sixteenth floor, the Deluxe One Bedroom Suite can comfortably sleep four guests. 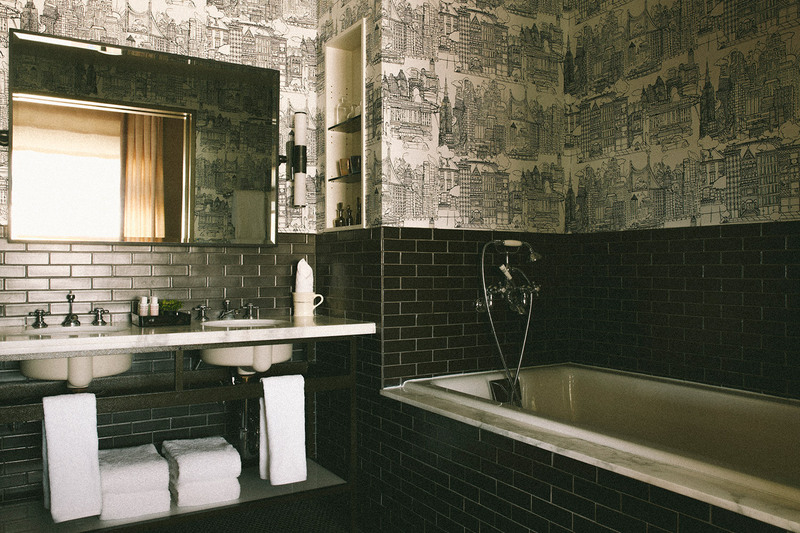 Interior designer William Sofield sought inspiration in SoHo’s early industrial heritage, the coffee table is made from recycled newspapers and magazines, the bathroom features black subway tile, a soaking tub and a Saul Steinberg-designed cityscape wallpaper. For private meetings & events, please see details here.